Students take a mandatory 2-credit Italian language course during the orientation. Students must take an online entrance test (they will receive a login and password by email) in order to be admitted and be registered for any level higher than Elementary Italian I. Since language demands are more challenging, students are often placed in a lower level than requested. Students should make sure the advisors at their home institutions are informed of this to avoid problems with credit transfer. Students are required to continue their Italian language study throughout the semester, earning a further 3 credits by studying a higher level of language. In addition, students participate in an internship placement and choose one content course (taught in English) related to their internship. Students receive 2 credits for the Italian language courses during orientation and 3 credits for the course taken throughout the semester. Courses during orientation are offered at the following levels. A thorough, basic introduction to the Italian language for those with little or no previous experience, the course teaches essential vocabulary and grammar and develops students’ ability to communicate in an authentic linguistic context – key to making the most of the experience of their stay in Italy. Designed for students who already have some knowledge of Italian, the course revises basic grammar and vocabulary before progressing to more complex structures and functions leading up to the next, Intermediate, level. Classes are conducted mainly in Italian, with ample opportunity for student oral practice. Prerequisites: ITL 3821 Elementary Italian I, and/or minimum 70/100 score on the diagnostic test. This course helps students to develop their ability to communicate effectively and accurately, using an expanded range of vocabulary. Conversation practice improves listening and interpretation skills for better understanding and response. Reading and writing exercises improve skills in understanding prose and writing letters and simple messages. Prerequisites: ITL 3822 Elementary Italian II, and/or minimum 70/100 score on the diagnostic test. This course builds upon the skills gained in Intermediate Italian I and develops them to enable students to understand and respond to quite complex lines of argument, both in oral and in written form. Students review complex grammar structures and carry out tasks in reading, composition, phonetics, syntax, and style. Continued practice in conversation provides students with an increased capability to communicate competently in Italian. Prerequisites: ITL 4821 Intermediate Italian I, and/or minimum 70/100 score on the diagnostic test. Alongside their Italian language course, students have an internship placement plus review meetings with workplace supervisors and Richmond faculty. Students can earn 3 or 6 credits depending on the number of hours associated with their internship. Students then choose one elective (if selecting the 6 credit internship) or two electives (if selecting the 3 credit internship) related to their internship. Each elective is 3 credits; see below. Students intern in companies based in Florence for 12 weeks. Students taking the internship are also required to attend specially designed seminars throughout the semester. The Internship program combines workplace learning with classroom-based study and regular review sessions with workplace supervisors and Richmond faculty. Credit is awarded only after successful completion of all aspects of the program. Internships are unpaid and monitored by the workplace supervisor and a Richmond faculty member. In addition to working and attending the internship seminars, students are required to submit a journal recording duties and learning, as well as an analysis of specified aspects of the work experience. They must also submit a final research paper describing and analyzing the workplace, the industry and goals achieved. Students give a presentation on their internship. Assessment is based on the above criteria. Grades of A to F, with pluses and minuses, in accordance with the University grading policy are assigned and recorded on your Richmond transcript. If interested in a different Art History course among those offered this should be agreed with the Internship Coordinator. Considers the nature of museums and art galleries and their role and function in our society and culture. Students study the workings of the art market and a variety of other topics that impinge upon it, such as conservation, restoration, the investment potential of art, and art world crime. Students visit many of the great galleries and museums in Florence with their rich intercultural collections as part of this course. A university-level survey of the history of international art is strongly recommended as a prerequisite. This course introduces students to figure drawing, structure and object drawing, and outdoor drawing which includes the city of Florence/Rome and the Tuscan/surrounding landscape. The course is designed to provide a foundation in the subject, and will also prepare students for the next course in the sequence. A studio fee is levied on this course. This course includes figure drawing, still-life drawing and landscape drawing, with the focus on Florence and the Tuscan landscape. Students are encouraged to examine the problems of drawing the human figure (anatomy), perspective (several vanishing points) and objects (complexity, varied tonality). It follows on from ADM 3800 Drawing I. A studio fee is levied on this course. Prerequisites: ADM 3800 Drawing I. This is an advanced drawing course, further developing students’ drawing skills. It focuses on figure drawing, still-life drawing and landscape drawing, with particular attention to the Florence and the Tuscan landscape. Students are encouraged to further develop their personal style of composing and choosing types of lines and mark-making. This course follows on from and builds upon ADM 4800 Drawing II. A studio fee is levied on this course. Prerequisites: ADM 4800 Drawing II. This course teaches students how to produce the illusion of volume, space and movement on a two-dimensional surface. Students explore hands-on approaches to paint application, color, structure and composition, and experiment with different ways of applying the paint. They learn to imitate the techniques of painters such as Caravaggio, Monet, Seurat, Van Gogh and Picasso. This course includes classroom assignments and painting out of doors in places such as the Boboli gardens and the hills around Florence. The course is designed to provide a foundation in the subject, and also prepares students for the next course in the sequence. A studio fee is levied for this course. In this course, particular problems associated with tone and light are studied, including side lighting, candle lighting and artificial lighting. Studio practice is combined with discussion, critique and demonstration. The course includes open air painting and work in the studio. It follows on from ADM 3855 Painting in Florence I and builds on the principles established in that course. A studio fee is levied on this course. Prerequisites: ADM 3855 Painting in Florence I. This is an advanced painting course, structured around specific painting projects to develop the range and technical competence of the student. Professional painting techniques are demonstrated and experimented with. This course includes outdoor painting and work in the studio. This course builds upon ADM 4855 Painting in Florence II. A studio fee is levied on this course. Prerequisites: ADM 4855 Painting in Florence II. Recommended for communications and journalism majors as well as photographers, this course develops knowledge and experience in photojournalism via the study of the work of major practitioners and the production of assignments typical of today’s photojournalists. Students will need to provide a DSLR (digital reflex) camera and a laptop (with any basic photo editing software). There is a studio fee for this course. Prerequisites: ADM 3160. In this course students explore the most important characteristics of Italian journalism and the Italian media system. Students will have the opportunity to develop their own research and practical writing skills while examining different aspects of the Italian media. Students may be able to publish articles in an Italian newspaper. Prerequisites: COM 3100 or JRN 4200. This course examines the geography, history and culture of Italian regional dishes that have brought Italy worldwide renown. The course looks at regional gastronomic traditions and their origins, including differences in how food is prepared, the representation of Italian food practices in media and cinema, food symbolism in Italian culture, food ethics and sustainable agriculture, with an examination of today’s fast and slow food traditions. A visit to a wine and olive oil farm in Tuscany will give a practical illustration of how resources are linked to food practices. Consumer psychology within the context of the consumption of fashion and luxury products and services is complex and is influenced by many factors. This course enables students to understand the importance of consumer behavior in the process of marketing fashion and luxury goods and services. Note: This course is cross-referenced against MKT 5410 (offered on the Richmond campus). Prerequisites: MGT 3200. This course covers the history of Italian fashion from the late gothic period to current Made in Italy design. It looks at Italian fashion styles in relation to art history in an international, social and economic context. Fashion and its relation to culture, subculture, gender and communication are emphasized. On-site visits illustrate Florence’s dominant role in fashion. Prerequisites: AVC 4200 Introduction to Art Across Cultures or AVC 4205 Introduction to Visual Culture or HST 3200 World Cultural History or GEP 4180 Research and Writing 2. This course introduces students to international economic relations. These relations are relations of international trade, international production and finance as well as international development. The course is taught within the context of technology, politics and culture. Prerequisites: ECN 3200 Foundations of Economics or ECN 4105 Introduction to Microeconomics. Family business and entrepreneurship will be placed into a national context and the importance of family businesses for the Italian economy will be identified. Prerequisites: MGT 3200 or MGT 4200 or ECN 4105 or ENT 4200. Focuses on the economic, political and social environment for business in Europe within this field, it examines the institutional interplay with the European Union, the dynamics between the different Member States and the different policies with direct relevance to businesses operating in the European Union. Prerequisites: MGT 4200, MTH 4110, and ECN 4110. This course covers the fundamentals of fashion and the basic principles that govern all fashion movement and change. It examines the history, development, organization and operation of merchandising and marketing activities, trends in industries engaged in producing fashion, purchasing of fashion merchandise, foreign and domestic markets and the distribution and promotion of fashion. Prerequisites: MKT 5200 - Principles of Marketing. 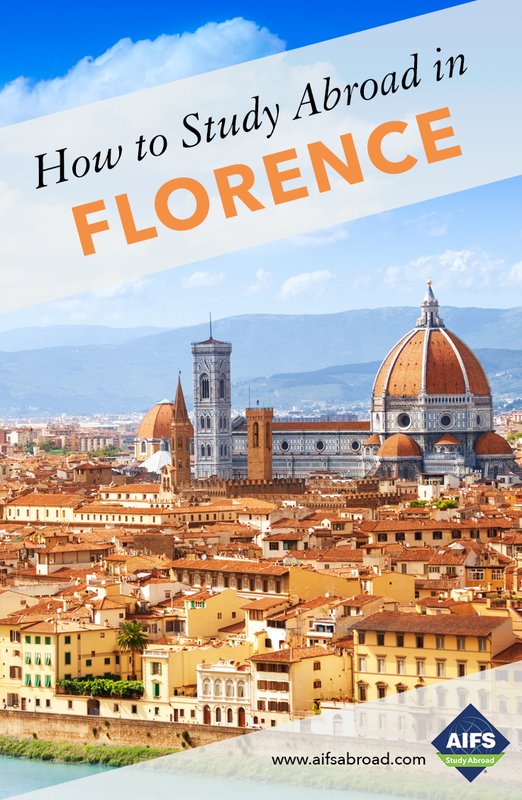 The additional course to be taken can be selected from all of the content courses (for 3 credits) listed for the traditional Florence program. Please note that final selection is always at the discretion of the organization.